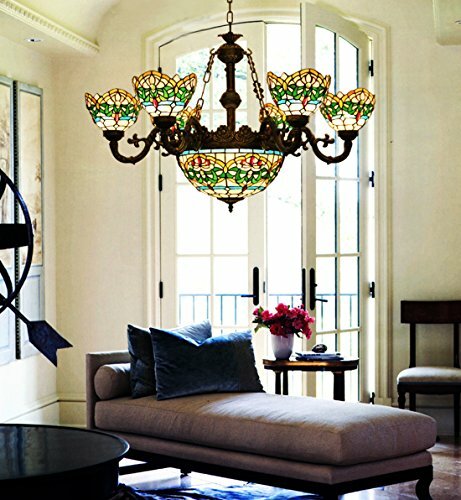 The Gypsy Chandelier adds a touch of outrageous baroque class to any interior. 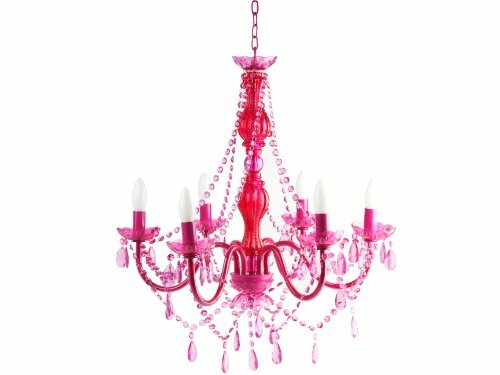 A delightful tumble of decoration, beading and elegantly positioned lamps, the Gypsy Chandelier is ideal for those who want to make a dramatic statement in their interior spaces. 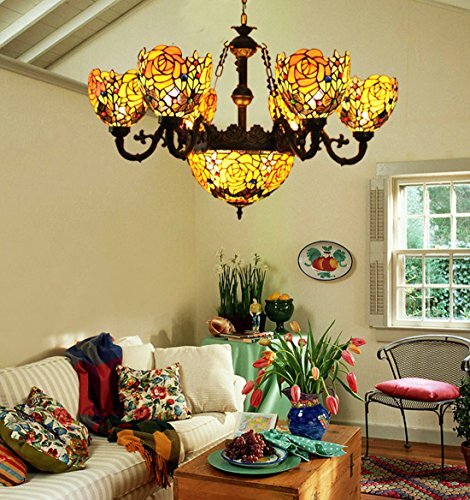 Constructed of acrylic, metal, glass, and durable resin. 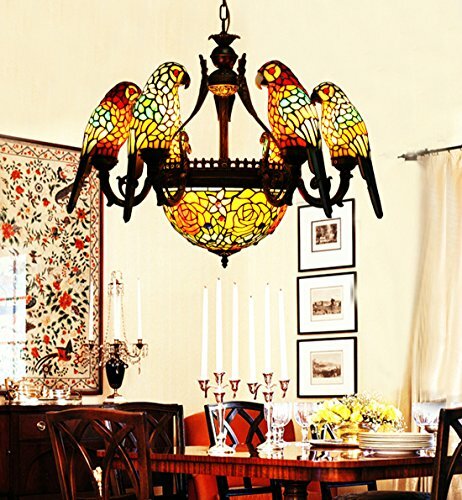 Chandelier measures 23.5-Inch diameter by 23-Inch tall. Cable measures 63-Inch in length. Requires six E12 bulbs. Maximum 25-Watt bulbs. 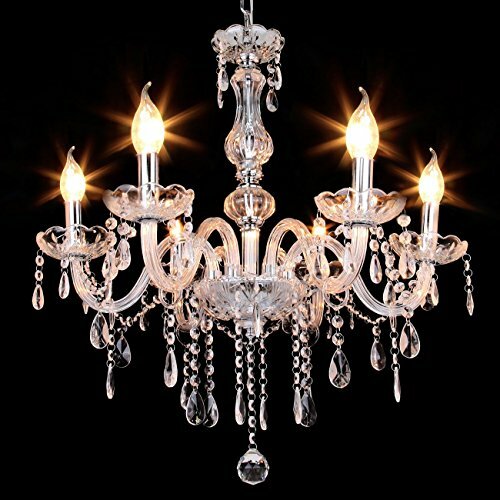 Please be aware that these chandeliers are hard-wired and require professional installation. 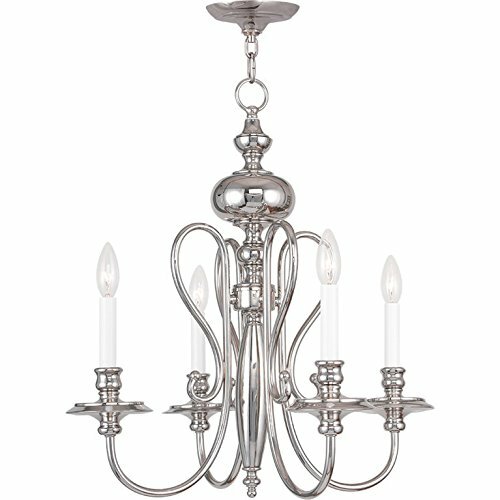 Noted for its clean sophisticated look, the Sheraton will add a dramatic statement to your formal dining room. 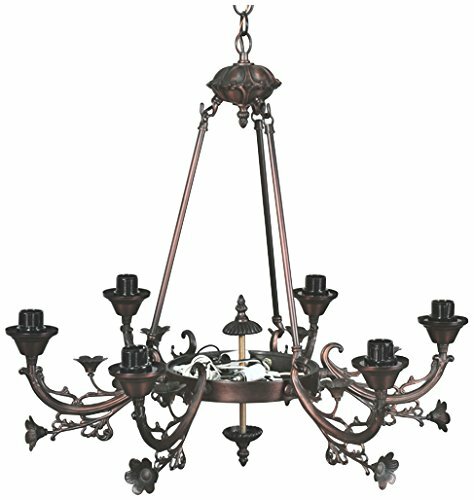 The six elegant arms will cast a welcoming glow over your family and friends. 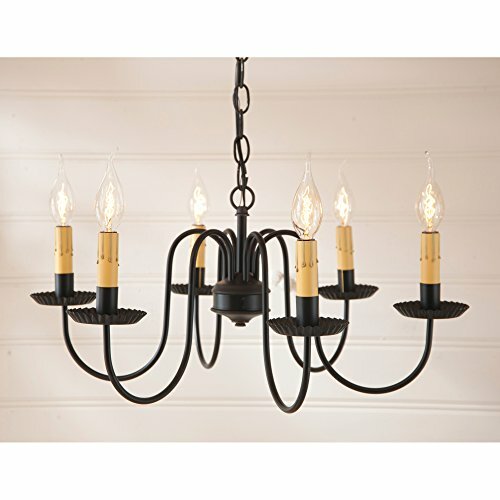 Finished in rich black to fit your decorating needs. 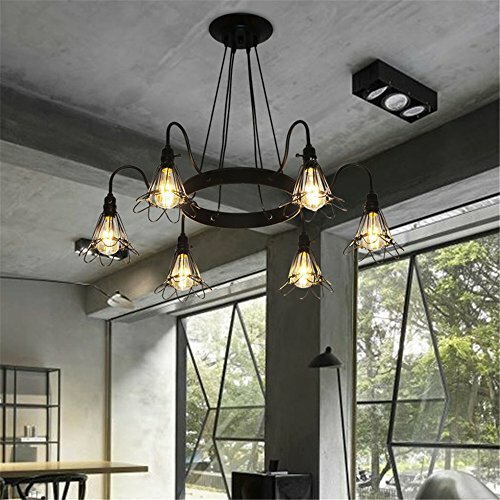 Direct wired with six candelabra sockets, 60 watts max. per arm. 7 feet of wire, 3 feet of chain, and a matching ceiling plate included. Black finish. Handcrafted in Pennsylvania. This fixture is UL listed.